something that has never happened!!! Come along with your family,friends, and your groups. 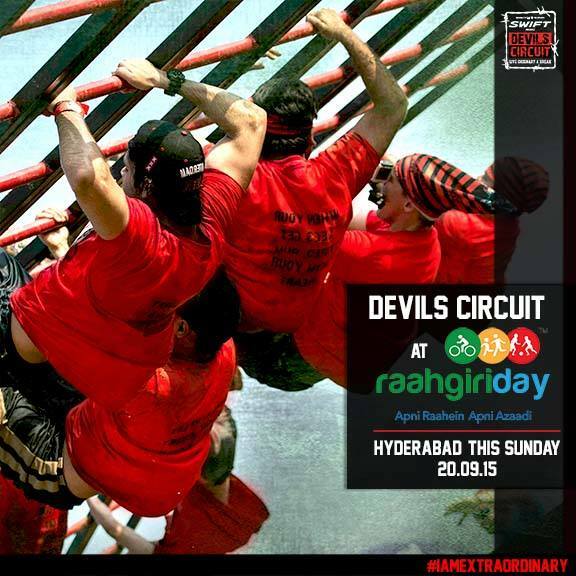 Devils Circuit are coming to Raahgiri Day, Hyderabad this sunday. Devils Circuit is India's biggest Sports party. The first ever Obstacle running series in India, Devil Circuit defines a new concept in running.